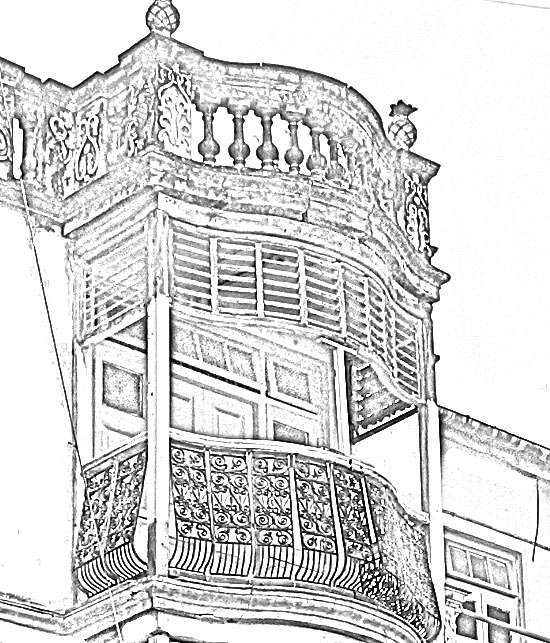 Here are pencil drawings or sketches of the railings of balconies. 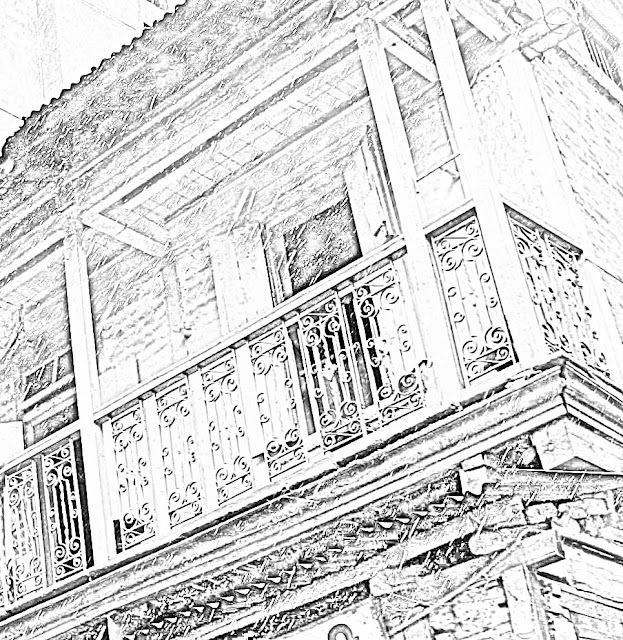 The sketches are based on photographs of the balconies in old houses in Pune, Maharashtra. 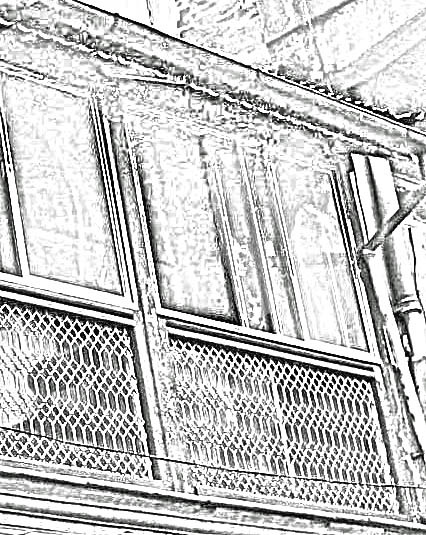 This criss-cross design is a fairly simple one. The original balcony railing is in wood. 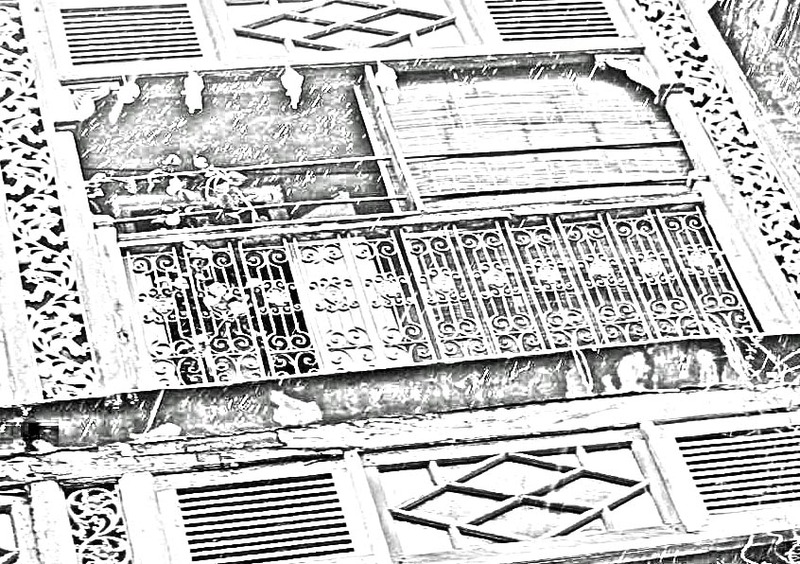 A more intricate floral railing design sketch. These curves are lined by two floral strips at each end. 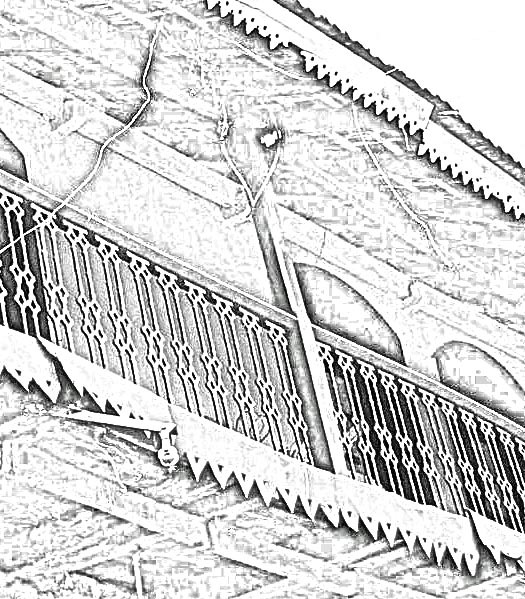 A common style of the olden days. 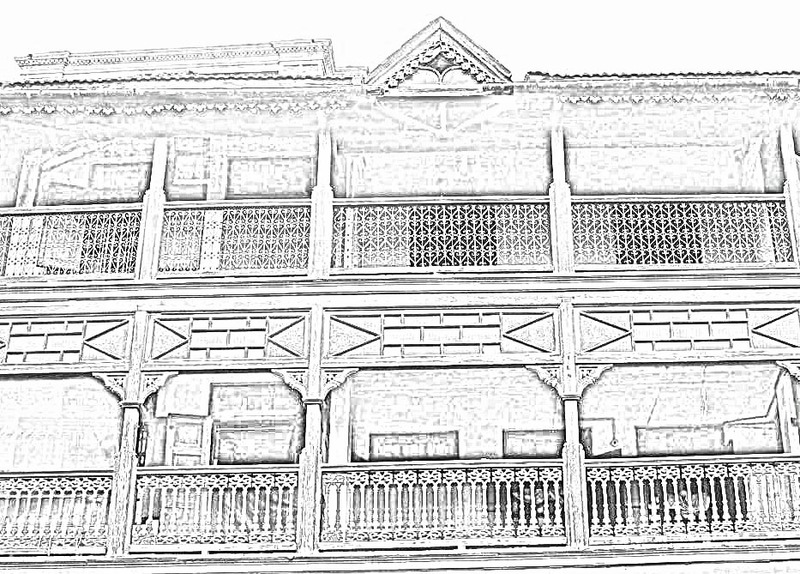 This is a sketch of a beautifully preserved old type of house with different railing designs on different floors. 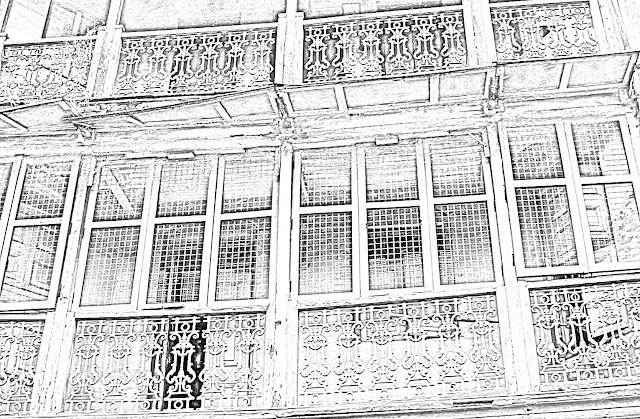 A pretty small squarish balcony with an intricate design on the metal railing. 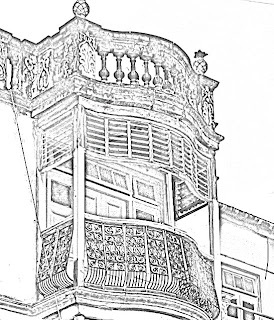 The terraces has a different type of railing, seeming made of mud or brick. 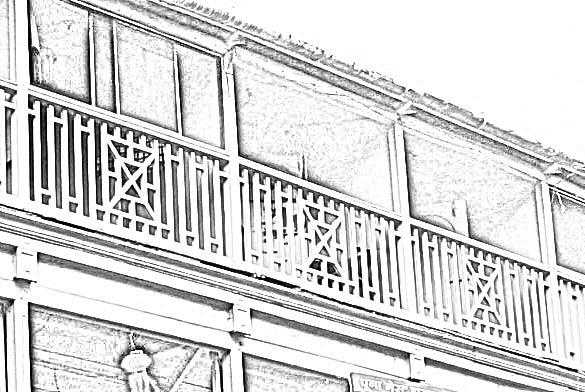 A sketch of a relatively modern balcony railing. 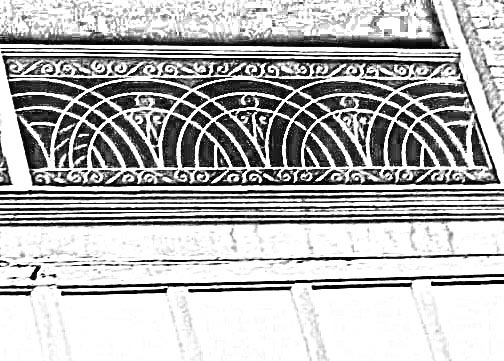 A floral motif sketch of a balcony railing. 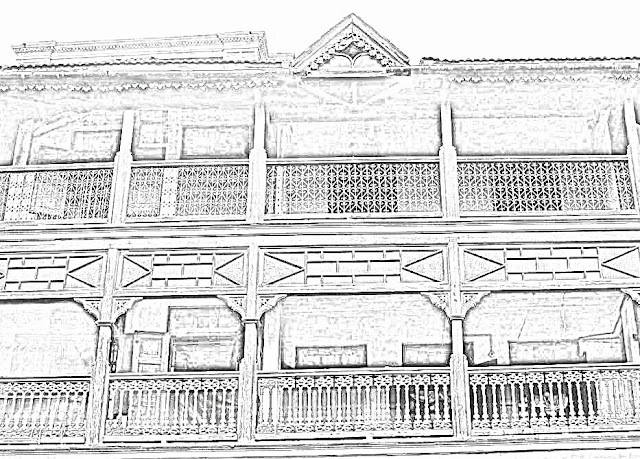 Related Images: Photos on which these sketches are based, Balcony and railing designs of old Pune houses or wadas or Chinese Architecture Sketches which show some typical carved Chinese balconies of different kinds.